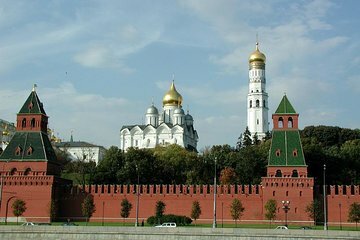 Visit some of Moscow's most classic sights and attractions on a 4-hour walking tour through the city. Enjoy the expertise of a knowledgable guide as you wander about the Kremlin, into Red Square and onto Arbat Street—one of the city's most colorful pedestrian streets. Take in the sounds of strolling street musicians and watch as artists sketch caricatures and sell their wares. You'll also have an opportunity to ride the city's metro, with its palatial underground stations that are artworks in themselves.